Are you looking for adventure trip? 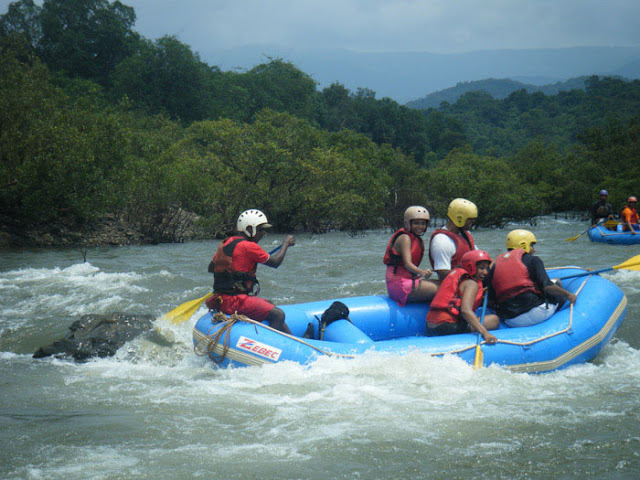 Go to south goa,we have got jumping,trekking,cliff,rappelling and wading through rivers in south goa. Welcome to all in the jungle,said the spider to the fly.Nestled deep in the heart of South Goa,the beautiful wildlife sanctuary has an eclectic range of flora and fauna.Painted billboards along the way tell you of the creatures inhabiting the jungle , the Russeell viper,King cobra and other type of snakes,the elusive leopard and many species of scorpion and spiders. An exhilarating technique oriented sports,it involves abseiling,walking,wading and swimming through waist deep and open waters,jumping,scrambling and sliding down natural slopes. Experienced guides direct each expedition.Being a moderate risk activity,safety is paramount. Get your travel package details here..